Still not sure whether yoga is worth your time? These five benefits – including improved flexibility and relief from anxiety – could help make up your mind! It’s taken science a long time to catch up with what yoga practitioners have been saying all along: yoga is more than just a way to get flexible. It’s true that some people make wild claims about yoga that aren’t backed by science. There are also people who use weak science to promote yoga as some sort of miracle cure to almost every disease, which clearly isn’t true. 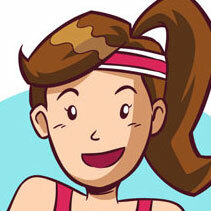 Unfortunately, these claims and myths are common to almost any form of exercise. But there are real and proven benefits to regular yoga practise that have plenty of evidence to back them up. Let’s take a look at five important examples. The most obvious advantages of regular yoga practice are improved flexibility and balance. These benefits will come as no surprise to anyone who has taken a yoga class. Holding the wide range of poses is challenging even for experienced yogis – let alone for the average class attendee! Along with flexibility and balance, holding the various positions also helps strengthens the muscles (they are effectively an isometric workout). There is plenty of science to back this up this claim too. A study in the International Journal of Yoga Therapy, for example, found that people who practiced yoga increased their flexibility by up to four times that of a separate group who performed calisthenics. This benefit isn’t just limited to young people either. There’s evidence to suggest that older people can improve their mobility and balance with yoga, which could prevent nasty falls. Note: Certain forms of yoga may also be beneficial for people who want to lose weight. Check out our Yoga Burn review for more information. Anxiety is an increasingly common issue in the modern world. It can range from mild feelings of unease through to serious panic attacks, and can greatly affect a person’s quality of life. If you suffer from anxiety, you’ll be interested to know that yoga has been shown to reduce the symptoms and relieve stress. The most famous study asked around 30 women with generalised anxiety disorder to take a yoga class twice a week. After two months of classes, the researchers tested their levels of anxiety and found it to be noticeably lower than a control group who didn’t practice yoga. There’s no scientific consensus on why yoga can reduce anxiety. It may be something to do with the mindfulness practice that’s built into yoga though. Whatever the reason, many people feel calmer and more in control after a yoga session. Yoga practice with a qualified teacher focuses on holding correct poses, so it can help prevent slouched shoulders and other postural issues. There’s also evidence that yoga may be an effective method for treating chronic lower back and neck pain. This is because it’s nearly always muscular spasm that causes pain, even if the underlying cause is a herniated disc. By holding a yoga pose and slowly breathing in and out, you can help these muscles to relax. It seems that yoga isn’t just effective at treating back and neck pain too. In a different study, participants with carpal tunnel syndrome either wore a wrist splint or took part in a yoga class. The yoga class was found to be more effective at relieving wrist pain! It’s important to point out that more research needs to be done into how and why yoga may reduce chronic pain – and it should be used in combination with more traditional treatments. But the early evidence looks promising. Cancer is the second biggest killer after cardiovascular diseases, so anything that could even slightly lower the risk of developing it is worth paying attention to. The link between cancer and yoga is far from well-established. But there appears to be evidence that yoga could prevent a type of gene mutation which is involved in certain types of cancer. A study in the Journal of Clinical Oncology also revealed that yoga could reduce inflammation and improve the mood of people who already have cancer. Again, this needs to be confirmed by more studies, but it’s an interesting result. Migraines are severe headaches that can be disabling when they strike. While many people get the occasional migraine, for some people they are a regular problem. Along with medication, yoga may be effective at reducing both the frequency and severity of migraines. In one study, patients who suffered from recurring migraines were divided into two groups. The first didn’t make any major changes to their routine, while the second took part in a yoga therapy program. After three months, the people who had practised yoga had fewer migraines and reduced headache pain. It’s not fully understood why yoga can affect migraines. There is some evidence that yoga activates the vagus nerve, which is thought to play a role in migraines. Whatever the underlying reason, if you suffer from migraines you may want to try adding yoga to your weekly routine. There have been many studies into the health benefits of yoga. While some are better studied than others, there’s no doubt that yoga is far more than just a way to improve flexibility (although it can certainly do that). Regular yoga practice can reduce anxiety, improve strength, relieve migraines and may even help prevent cancer. It also seems inevitable that more benefits of yoga will be discovered over time. We’re probably only scratching the surface of what yoga can do for us. Whether you want to lose weight, reduce pain or get relief from anxiety, adding yoga to your weekly workout routine is worth the time and effort. Even if you practice for just 20-minutes three times per week, you could start to see some of the many health benefits. Do you have any questions about the health benefits of yoga? Have you noticed any changes in your health since you started yoga? Or do you think we’ve missed an important benefit? Let us know in the comments section.